… following criteria must be met: Average Rent = $1000+, Year Built = 2000+ , Built with Brick, Stone, or Stucco (minimal vinyl siding) have a Garage. Preference to 3 Bedroom 2 Bath or larger properties. In order for a property to qualify as Class “B” Rental Home the following criteria must be met: Average Rent = $800+,Year Built = 1980+ and/or has been substantially updated and rehabbed, Built with a combination of Brick, Stone, Stucco, or vinyl siding has Garage/Carport/ Driveway. Cap Rate preference to 3 Bedroom 2 Bath or larger single family homes. … the historical average, creating an even more compelling opportunity to invest. The investment activity over the past 24 months is simply part of a larger trend playing out as part of a long-term housing recovery play. … with 5.4%, 7.3% and 7.7% respectively. It is important to note that markets with low capitalization rates all have prices that are below average relative to markets with higher yields or those markets where real estate prices have improved recently. … New 10 Year NN Corporate Family Dollar’s with 5×5 year options and rent increases. (NYSE: FDO). Family Dollar is a recession-proof company that has been in business for over 45 years. As a corporation, they have no long-term debt on their balance sheet. 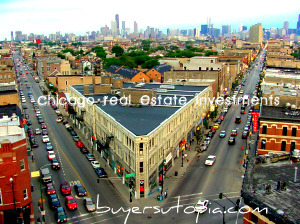 This fundamentally sound real estate investment has an income stream secured by a corporate guarantee from a tenant with a net worth of over $1.3 billion and approximately 6,000 stores in 44 states. … things like property reapirs and property taxes. With a true triple net corporate lease your income property behaves more like an annuity. 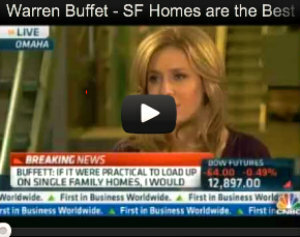 The best part is that is requires almost no management on the real estate investors end. ATTENTION INVESTORS: Need help analyzing, funding and acquiring an income property with a corporate tenant? We specialize in income properties with corporate tenants nationwide. If you are looking for a particular corporate tenant or a particular CAP Rate, Review our Corporate Tenant Income Property options. … criteria must be met: Average Rent = $1000+, Year Built = 2000+ , Built with Brick, Stone, or Stucco (minimal vinyl siding) have a Garage. Preference to 3 Bedroom 2 Bath or larger properties.